Wu He – or “Dancing Crane” – is the pen name of Chen Guocheng, whose 1999 novel Remains Of Life (Yu Sheng) has now been translated by Michael Berry, a professor of contemporary Chinese cultural studies at UCLA. Though critically lauded upon publication (winning prizes from the Taipei Creative Writing Award for Literature to the Kingston Award for Most Influential Book), the eighteen-year gap between its publication in Taiwan and its first English translation (following one in French in 2011) is worth considering. A glance at the text readily explains the hiatus. 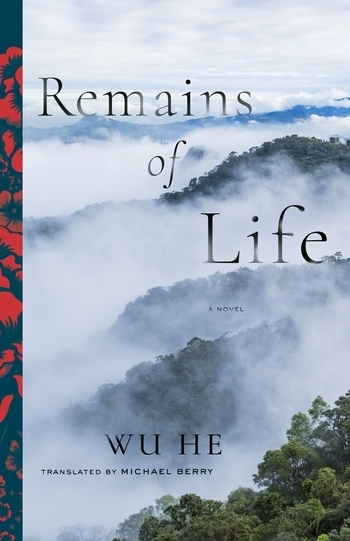 Remains Of Life is an avowedly experimental novel which focuses on one central, dreadful event – the 1930 revolt in a Taiwanese aboriginal reservation against its Japanese occupiers, in a headhunting ritual that decapitated of 134 Japanese, and the subsequent ferocious response from a well-armed Japanese militia which nearly exterminated the Aytal tribes. The Musha Incident, as it came to be known, had by the time of publication nearly fallen into historical desuetude; the book’s acclaim led to a dramatic resurgence in interest and studies, and a revaluation of its significance. Freighted with such importance, Remains Of Life leads the reader to approach it with respect, even deference. 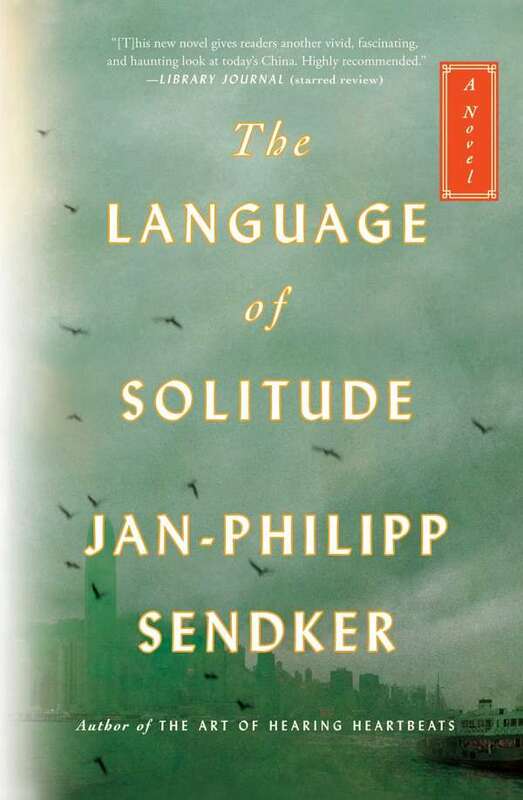 The reward of such a book usually comes from understanding something, however dark, about the human condition. Remains Of Life however has little concern about orderly narratives or neat conclusions: it has no chapters or paragraph breaks, and very few sentences, instead proceeding in an endless series of clauses conjoined by commas. It combines a historical study of the Musha Incident, the Aytal tribes and the surviving tribe members (the “remains of life”), philosophical ruminations on time, the human condition, history, sexuality and violence, and occasional sudden lurches into fantasy and even metafiction. The style has been called “stream of consciousness”, but perhaps “river of prose” would be a better label, for the Wu He’s writing does not leap about with the sudden non-sequiturs of the human mind (as most famously seen in James Joyce’s Ulysses). It is an endless flow of writing, of thought, of memory. The book also is largely about Wu He’s writing of the novel, his stay in the reservation, his relations and interactions with surviving tribe members, his analysis of the Incident and what it all means. It’s slightly reminiscent of Nick Broomfield films like Kurt and Courtney, which show him in the course of making the movie. This metafictional strategy allows the narrator/author to circle around the Musha Incident, to fictionalize and novelize his experiences and reflections rather than going for conventional fictional narrative or realistically (if artificially) documenting his experiences. One could almost call it Gonzo, though it has none of Hunter S Thompson’s frenzied vituperation. As an experimental novel, the literary techniques of Remains Of Life are to the fore, especially when compared to the self-effacing realism customarily used to evoke grim episodes. (This is not to say that realism is less artistic or artificial, but rather that its methods take care to go unnoted.) None of Wu He’s radical techniques are unique, but as the reader is so strongly aware of them, they deserve consideration. The most obvious is the endless stream of uninterrupted prose, with perhaps twenty sentences in the entire book. This has some antecedents: Kerouac’s On The Road was famously written single-spaced and without paragraphs on a single 120-foot typewriter roll that he had glued together, the better to capture a spontaneity analogous to improvisational jazz. The Scottish author James Kelman likewise has a number of short stories without paragraph breaks, in an attempt to convey the unrelenting quality of the protagonist’s misfortunes and misery. In both cases, the continuous prose conveys an inexorable energy or force. This is less apparent in Remains Of Life, which can veer from poetic to banal in a few short lines. At one point, we read that “Old Daya thanked Young Wolf for his hard work taking care of the inn, he knew enough to preserve the original look of the first floor, the hot springs tubs on the second floor were all kept clean and the comforters were all properly folded neat and tidy”, but shortly afterwards we are flabbergasted by “this was a time that many of the Mhebu mothers displayed the great courage of Atayal women, for some reason many of them hanged their children from the trees [and] throwing their children from the high cliffs as they passed by Valleystream”. Banality and horror commingle, as in life. Another aspect of Remains Of Life is Wu He’s nomenclature. Characters have somewhat cartoonish or emblematic names, such as Girl, Nun, Deformo and Drifter. This technique too has been used elsewhere, from Naked Lunch (whose dramatis personae includes The Sailor and The Buyer) to Irvine Welsh, who helpfully names characters things like Sick Boy and The Victim. Similarly, Taiwan is referred to “island nation” and Chinese people as “People from the Plains”. This gives things the sense of being archetypal, so that Girl becomes representative of all women in the reservation, perhaps even of all womankind, and Taiwan emblematic of all islands dominated by “the mainland”. Though the details are intensely local, this technique attempts to universalize the lessons and details of the incident. It doesn’t always work – what feels innate for someone Chinese does not always transfer to someone outside of that mindset – but it’s a significant move by Wu He. One does not have to look to far to find modern day equivalents, such as the ban on religious names and “abnormal” beards in Xinjiang. The particular can be universal. Remains Of Life is ultimately difficult but not unrewarding, as with most experimental novels, and is of course politically and historically important. While some literary innovations become mainstream and lose their alienating force – the influence of Joyce’s Dubliners, for instance, can be seen in short stories a century on – some remain experimental because of the discomfort they cause the reader. The absence of chapters, paragraphs and sentences make Remains Of Life a daunting tombstone. Yet it has moments of solemn tragedy and deep pathos, of fiery passion and humane insight, which reward reading and keep you turning the pages. Some may enjoy the disruptive effects of its style, with its lurches and flights and jarring incongruities, or the tale of a man haunted by history, or Wu He’s attempts to humanize a forgotten people and to understand (if not excuse) the dreadful events. Remains Of Life has all that, and more besides. But some may feel the book takes more effort than it repays, and move on to something less challenging. You doubtless know where you stand. China’s relations with its immediate neighbors, previously relatively stable, have begun to adapt and shift as rapidly as China’s economy continues to grow. The oft-cited maxim of Deng Xiaoping – “keep a low profile and achieve something” (taoguang yanghui, yousuo zuowei) – which kept the peace between the short war with Vietnam in 1979 and the modern day – is coming under huge strain as China’s economic rise is now accompanied by hugely increased claims, bellicosity and assertions of what might be called manifest destiny. Naturally this has garnered intense scholarly and journalistic attention. Tom Miller’s China’s Asian Dream, for example, was a terrific combination of data and pavement-pounding local investigation, with discussions between academics, market traders and officials from Laos to India. Howard French’s Everything Under The Heavens, however, takes a very different tack. By examining the history of China’s neighborly relations, French aims to illuminate their present and their future. This approach is both useful and relevant, as China’s long history of regional dominance casts a long shadow, and because China’s governing elite is deeply aware of their historical mission and responsibility – even if, as so often, that narrative is less rooted in genuine history and more about seeking justifications for present strategies. Two overriding themes arise, from the Communist party’s choice of narrative and from China’s sense of place in the world. These are “the century of humiliation” and tian xia, the abiding belief that the Chinese emperor (or ruler) governs all “under heaven” – meaning that China is the locus of the world, its centrality the organizing principle of its diplomatic worldview whereby all other nations are peripheral and, thus, inferior. This codification of the world persists across the dynasties, as China’s borders fluctuate and as rival powers come and go. Perhaps surprisingly, French shows how tian xia is replicated across Eastern Asia, as other nations (particularly Vietnam) see it as the natural method of diplomacy for their own subordinates (or who they aim to be their subordinates). Tian xia is not, of course, a uniquely Chinese phenomenon. Every leading power considers itself the centre of the civilized word, from the Romans naming the Mediterranean after Medi Terra, the middle of the land, and Britain locating the central date line in London. Tian xia is of course a foundational myth, as much as the revolutionary beginning of the US or the USSR’s claim to emancipate the workers. Its persistence despite China’s collapse into chaos and penury during the twentieth century is remarkable. Most countries come to accept a humbler place in the world order during straitened times; one does not hear so many hankerings for re-ordering of global power from Austria, Mexico or Poland. (The UK is a special case, as a former hegemonic nation whose self-regard has been propped up by its close relation to its successor, the United States, and the continuity of the Commonwealth). Their self-conception is de-centered. But post-revolutionary China, which maintained and even expanded its territory (incorporating/annexing, depending on one’s outlook, Tibet in 1950), did not suffer the ignominy of territorial losses and neighborly encroachments. Its sense of cultural and historical continuity remained. It remained vast, hugely populated and proud. The revolutionary government thus chose to describe China’s period of weakness as its “century of humiliation”. This designation is deliberate. It ascribes Chinese weakness to external forces, rather than internal failings, and allows tian xia to remain unimpeded. How this does this all affect China’s relations with its neighbors? Not surprisingly, China is proud, aloof, and both strong and vulnerable to slights against its dignity. Japan, as an island nation, is equally singular, causing endless friction and enmity, for tian xia admits only one locus. French describes how its neighbors had to verbally kowtow to the Chinese emperor, walking a tightrope between obeisance and self-assertion. The South China Sea is, of course, in no way a discovery or development of China, with French lucidly demolishing the Chinese government’s historical claims as so much hokum. China’s claims, however, are expertly put in a historical geo-political context. Chinese leaders are exceptionally good at knowing when to settle. When China was weak, as it was in 1979, it was willing to park the South China Sea issue with Japan and Vietnam, saying it was an issue for future generations to settle. When it is strong, as it is today with a military budget growing at 10% a year, it is suddenly willing to re-open the issue. “Laying low”, as Deng Xiaoping advised, was simply recognition of relative strengths at the time; equal emphasis should be placed on “achieving something”. China has become the leading trading partner and is leading the ‘One Belt, One Road’ initiative that promises infrastructure and development from Cambodia to Kazakhstan, and it now wants to reap the rewards. Vietnam, Japan, the Philippines, India, and other neighbors are naturally less than enthusiastic about a country so nakedly eager to reassert its dominance in the region and the world. But money talks, and as long as China keeps spending it has a biddable backyard. Whether China’s bid to reclaim its position as the center of the world will follow on from this remains to seen. In its effort to put China’s renewed claims in a historical, psychological and geopolitical context, Everything Under The Heavens is an tremendously useful contribution to our understanding of where China came from and, thus, where it is going. This was originally published in the Hong Kong Review of Books. My review has just been published in the South China Morning Post. Go check it out!